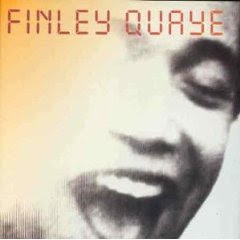 Finley Quaye is now best known for making that song off the O.C. There was a time, however, where one of his albums was big summer music. Unfortunately that is pretty much all that it is. Music which would work well in a beach bar setting. It is Reggae mixed with some trip-hoppiness and not all that fascinating. It is pretty undemanding music that everyone would kind of feel cold about.l In fact Quaye's delivery is a bit cold itself, bog-standard Reggae singing and lyrics. Even if there is some originality to the idea of marrying Trip-hop and sunny Reggae it ends up not making for a very interesting result. It is in the end a perfectly listenable album, but not a great one. He made a solo record deal with Polydor Records, and moved to New York. He began working with Epic/Sony when Polydor let him out of contract, and in late 1997 he reached the UK Top 20 twice with "Sunday Shining", and "Even After All". His reputation was established by Maverick A Strike, an adventurous but accessible album released in September 1997. It went gold less than three weeks later, and led directly to the BRIT Award victory. Maverick A Strike is now multi platinum. Two more albums were released on Epic, Vanguard (2000) and Much More Than Much Love (2004). In 2004 the song "Dice", in collaboration with William Orbit, and featuring Beth Orton was a minor hit, helped in part by its inclusion on Music from the OC: Mix 1. Quaye has been living and working in Berlin since 2005.